There are few things more festive than making your own Christmas decorations, and it is a big bonus when these decorations are recyclable and environmentally friendly. When it comes to Christmas, I love to make our home feel warm and welcoming. I tend to keep decorations simple and handmade. Foraged branches and greenery. Salt dough ornaments, white candles. This year I have also made these dried orange garlands that are so simple and look like little sections of sunny stained glass when hung on the tree or across a window. The oranges can be dried out in the oven as per below, and then I have hung them with pine cones to make garlands for around the fire and across the tree. I have also used red ribbon to turn them into tree ornaments. At the end of the festive season they can all be composted easily. 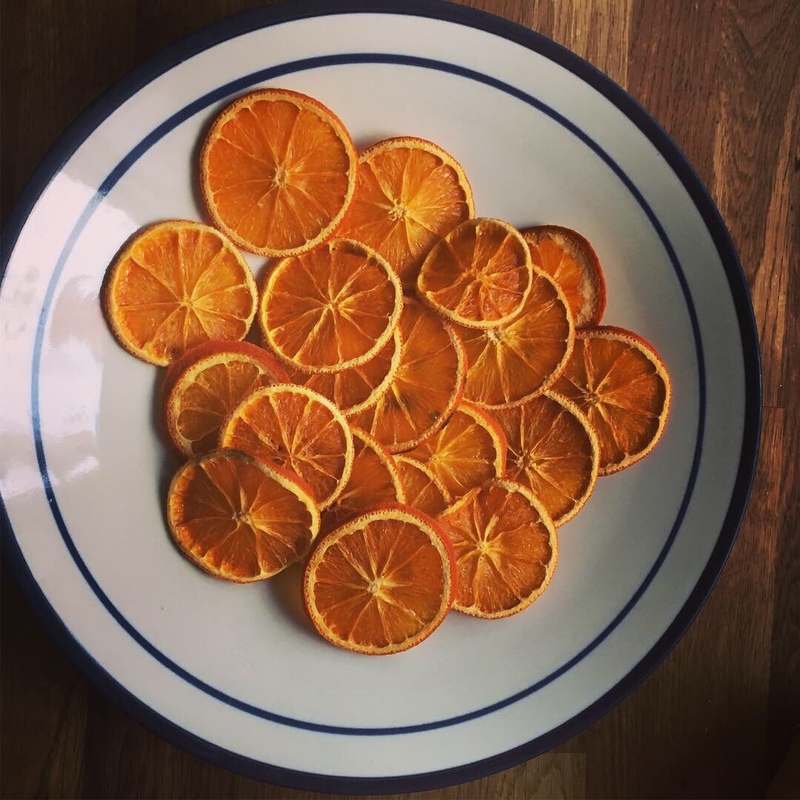 I think this is a perfect activity for when you are wrapping the presents or decorating the tree, as it scents the whole house with Oranges! Oven: Preheat the oven to 80c or as low temp as it will go. Place the oranges directly on the oven tray and put them in the oven. Bake for 1 hour and then flip oranges, turning every hour until they feel dry (it took me about 4 hours). Continue to bake until they fully dry out (usually about 4-5 hours.) I then let them sit on the side on a plate for 24 hours to further draw out any more moisture. They are now ready to do with as you please!